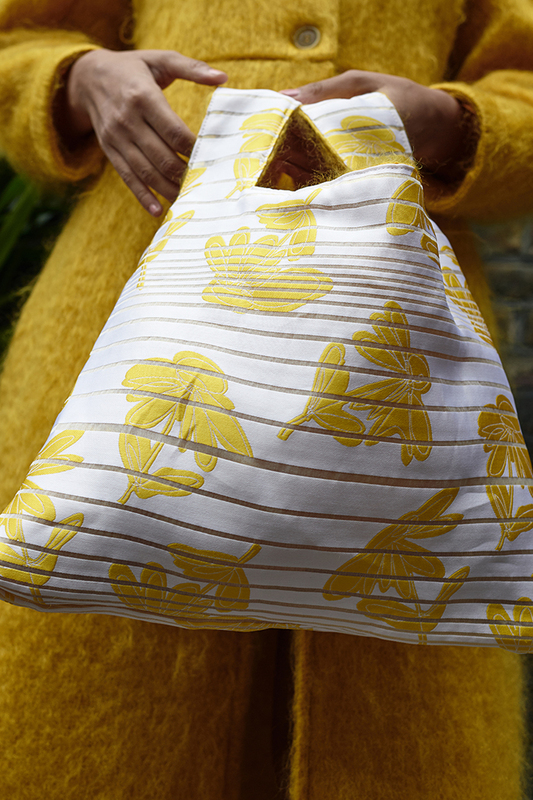 Alina is a cute reversible shopper that comes in bright colours, fluffy textiles or decorated with our signature SABINNA flowers. Alina bags are mostly made out of outer wear and special occasion offcuts. 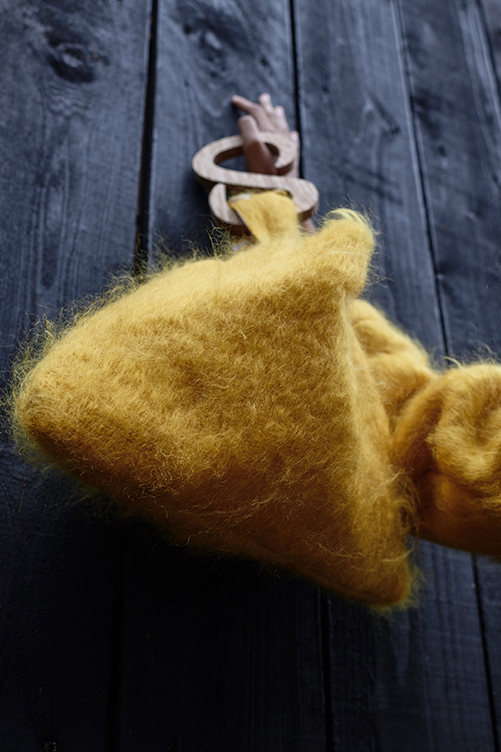 This fluffy mustard yellow version comes with a removable wooden S-shape handle to accompany the bag. The inside of the bag has a yellow stripes pattern with flowers (see second photo).